Oversized Sweater - Leila D.
I hope you are having fun this weekend. I am glad that it's a bit less humid than usual in Florida. I got out my oversized sweater that I paired with denim shorts. It also goes great with white pants or simply jeans and white sneakers. The oversized sweater is a great alternative to a sweatshirt. The look is casual and chic at the same time. 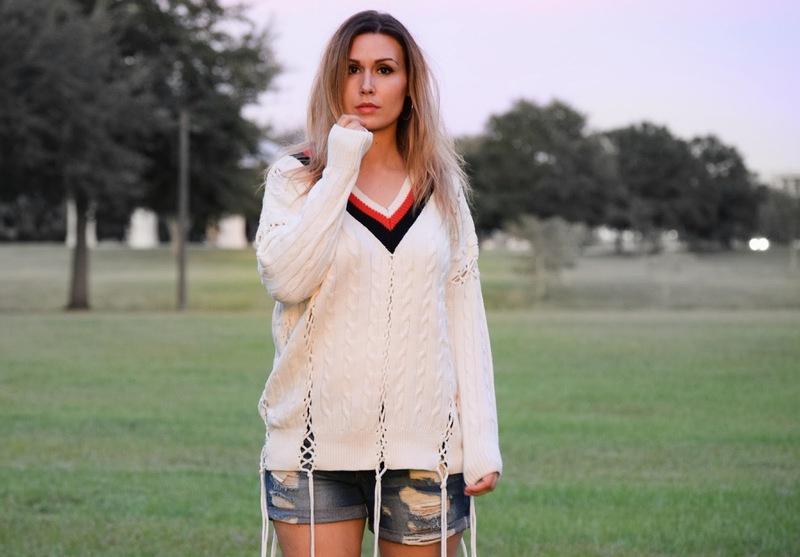 Whether you're going to the park, movies, shopping or traveling; you can't go wrong with an oversized sweater. *Brought to you in collaboration with Choies Amazon. All opinions expressed are my own. I love your sweater, i also have kinda the same like yours, Sweater is very in now because of the lovely weather. Anyways you look amazing on it.